Herald the arrival of your bundle of joy with a DVD photo presentation for distant friends & relatives. This can be a great way for elderly relatives who don’t have email access to share the joy of your digital snaps as well as a precious memento for the busy new Mum. How about a DVD “Thank You” card to acknowledge the flowers, gifts and well-wishes of friends and family at baby’s arrival? Story Weavers can customise the cover design to include all the essential details of baby’s entry into the world to make a beautiful and unique token of thanks. 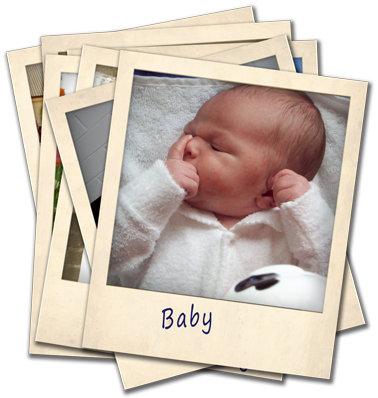 For the proud new mum who wants to show off the snaps of her bundle of joy with visitors, or simply enjoy a rare quiet moment, a DVD photo montage is a simple way of being able to sit in comfort and display your photos at their best without having to fire up the computer.